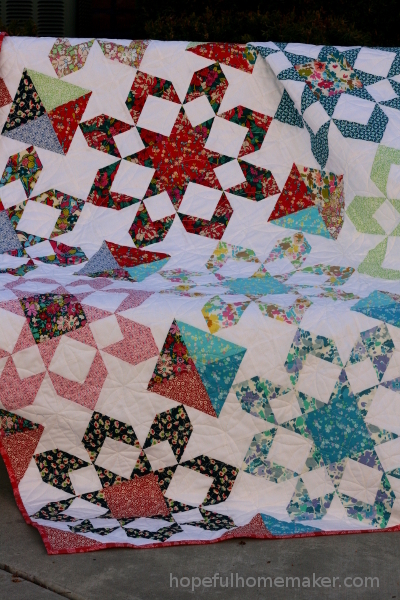 My Fireworks quilt is finished, and it’s been fun to fall in love all over again with the beautiful Bloomsbury fabrics as I bound it. The vivid colors and lovely florals make me anxious for spring. 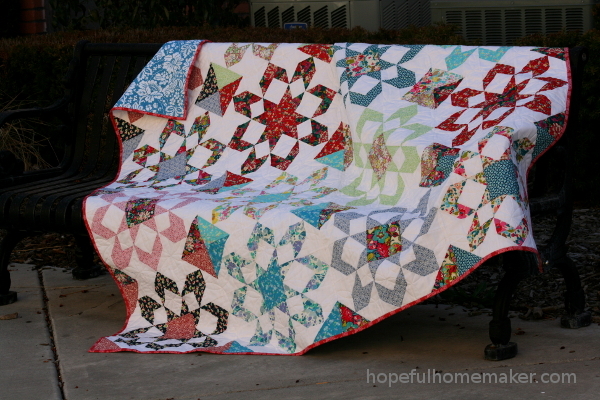 I made this quilt top more than three years ago (yikes!) 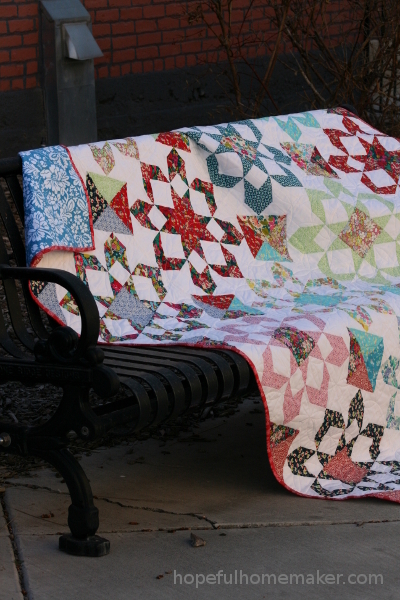 and last year had it quilted by Nicole Christoffersen (@kwilter100 on Instagram). She did a wonderful job. It’s kind of fun to go back and finish something you’ve set aside for a long time. 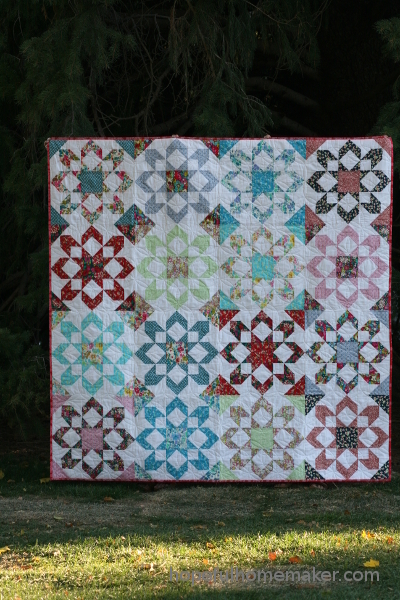 I’ve learned so much since I pieced this, and grown a lot as a quilter, yet this quilt still makes me smile. I remember what a stretch it was to purchase the fabric, as I was unfamiliar with Liberty of London, and then I grew to really like them as I sewed with them. Now I have a small collection of Liberty lawn and can’t believe I wasn’t sure I’d like these cotton prints! I have saved every scrap. The pattern is from Thimbleblossoms, available on her website. 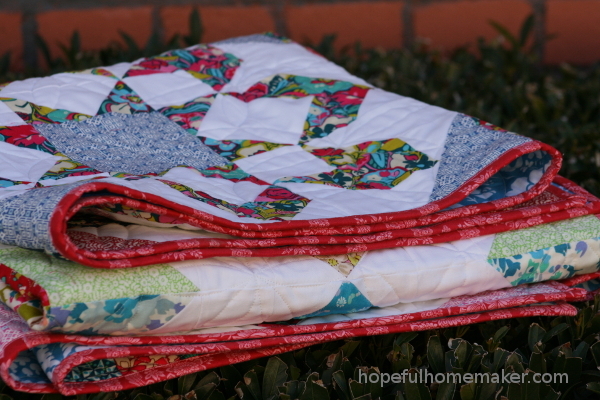 I chose Jennifer Paganelli prints for the backing and binding and they look beautiful together. My hope was to track down some Bloomsbury yardage to use because I rarely buy backing fabric when collections first release, but my search was unsuccessful. 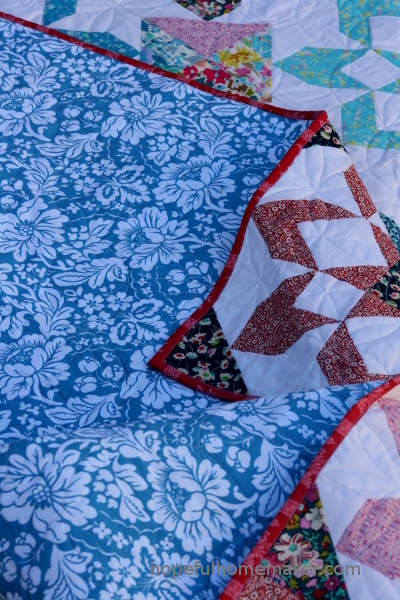 Most of the time what I put on the back of my quilts is something I bought on clearance for $5/yard or less, and this quilt ended up being no exception. I have come to enjoy the process of looking through what I have and trying several different prints until one satisfies me. It’s fun to mix and match. As always, I’m grateful for another finish. It sure feels good. In other news, we have a birthday to celebrate today! My youngest son is now eleven years old and I’m off to bake his cake. Have a great day!